Protein labeling is a powerful tool for protein isolation and analysis. Vector Laboratories offers you a variety of reagents and kits for protein labeling, giving you greater flexibility in your experimental design. Use our protein labeling kits to add tags or labels to primary amino groups, which are present in lysine residues and chain termini. These groups are usually available at the surface of proteins, and their modification usually does not affect the protein’s binding or enzymatic activity. The choice of which kit to use depends on the application and detection method you wish to use..
Use these reagents to couple biotin to antibodies, hormones, and any other protein containing lysine residues. The reagents are N-hydroxysuccinimide derivatives of biotin with an aminohexanoate spacer arm. The spacer arm allows greater accessibility of attached biotins to avidin or streptavidin conjugates used for subsequent detection. Use the QuantTag™ Biotin Quantitation Kit to determine the labeling efficiency of your biotin labeling protocol. 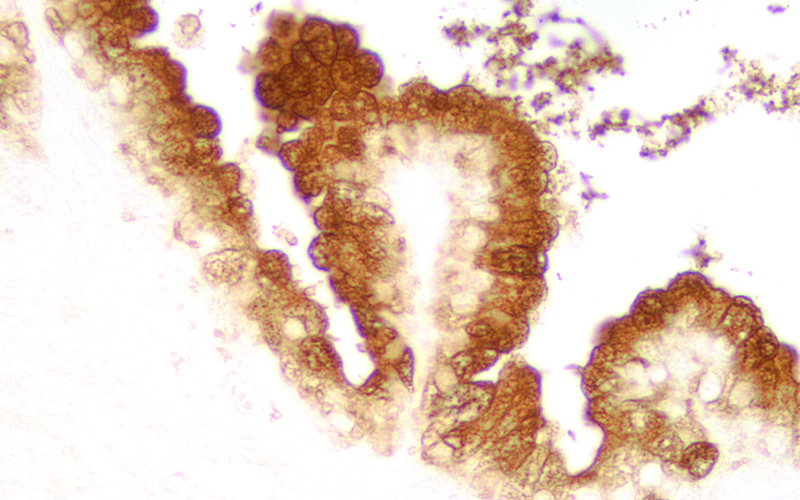 Paraffin embedded human prostate tissue stained using rabbit anti-prostate specific antigen (PSA) and detected with VECTASTAIN Elite ABC Reagent and Vector DAB substrate. 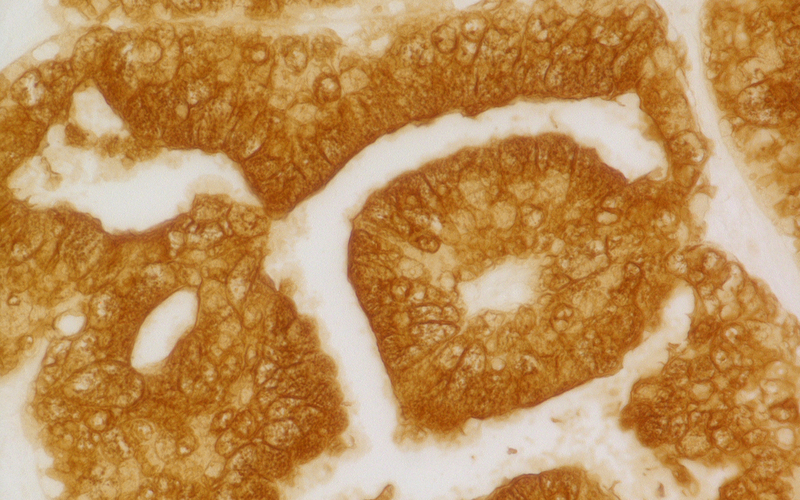 Paraffin embedded human prostate tissue stained directly with rabbit anti-prostate specific antigen (PSA) and mounted in VECTASHIELD HardSet and PI. 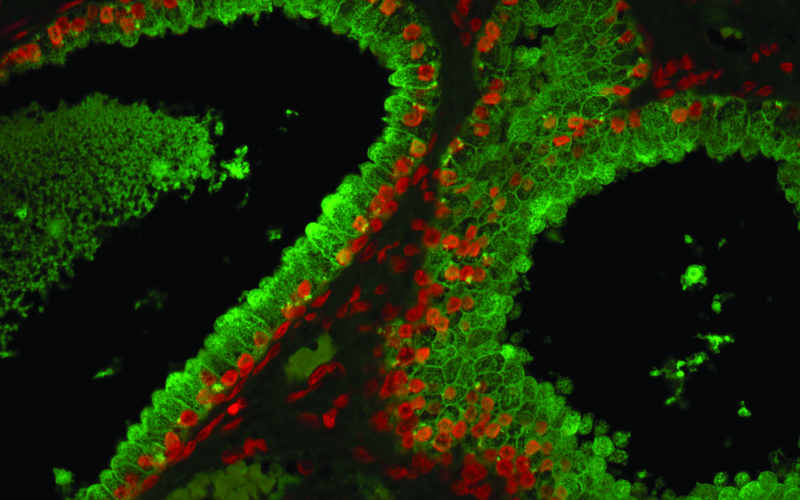 Prostate (FFPE): Rabbit Anti-PSA primary antibody directly labeled with HRP, followed by Vector DAB Substrate Kit.